Committed to preserving the quality of life for our clients. Mari-Jo Harney, RN, BSN, moved to Hopkinton in 1977, after a successful career as an ICU nurse at the Brigham and Women’s Hospital and nursing instructor at Newton-Wellesley Hospital. She immediately recognized a significant unmet need for in-home nursing services in the outer suburbs, and decided to act. Mari-Jo leveraged her professional network and broad range of nursing experience, and launched a company to address these needs. Mari-Jo’s commitment to preserving the quality of life extended beyond the company. She remained an active member of the healthcare community throughout her life, and served on the Alzheimer’s Early Detection Alliance for many years. Her focus on delivering the finest possible in-home care to families and their loved ones has resulted in thousands of satisfied clients, and a legacy of compassionate and consistent care. In the last five years, Mari-Jo’s sons Justin and Jake have joined and grown the business. Justin holds an MBA from Babson College, and Jake holds a nursing degree from Regis College. Together, they continuously look for ways to improve PNPS’ service delivery, and realize Mari-Jo’s vision to preserve the quality of life, one client at a time. 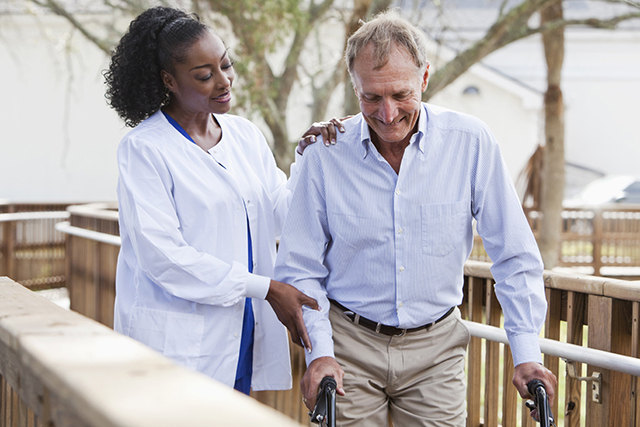 PNPS Nursing & Home Care is a family-owned and operated agency that provides private duty nursing and home care services for clients who wish to be treated in the comfort of their own home, enabling a safe and fast recovery in a familiar setting. Our services are delivered by experienced RNs, LPNs, Home Health Aides and Companions. Our mission – to preserve the quality of life for our clients and their families – is realized every day, client by client, by staying laser-focused on quality assurance and our clients’ needs. By any measure, receiving care at home is the most preferred type of care cited by the elderly and people who have experienced surgery or stroke. It is simple to start, to change, and to stop care, as needed. It is also the most personal, cost-efficient and least disruptive care available. When my mother, who was living alone, wanted to remain at home in Wellesley during her final illness, PNPS made it possible. She was a very private person, and opening her home to others was not easy, but the Aides were quickly able to put her at ease. They helped her feel comfortable and in control, and helped my family through a very tough time. I’d highly recommend PNPS to anyone looking for compassionate and professional at-home caregivers. © 2019 - Professional Nursing Placement Services Inc. All Rights Reserved.